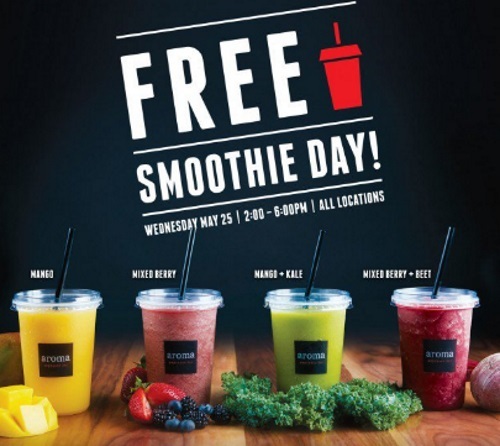 Aroma Espresso Bar has a Free Smoothie Day today! Get a Free Smoothie from their selection of nutritious and refreshing 100% real fruit smoothies! Made with 100% real crushed fruit and veggies with no sugar added. Aroma has 35 locations across the Greater Toronto Area and Southern and Western Ontario.